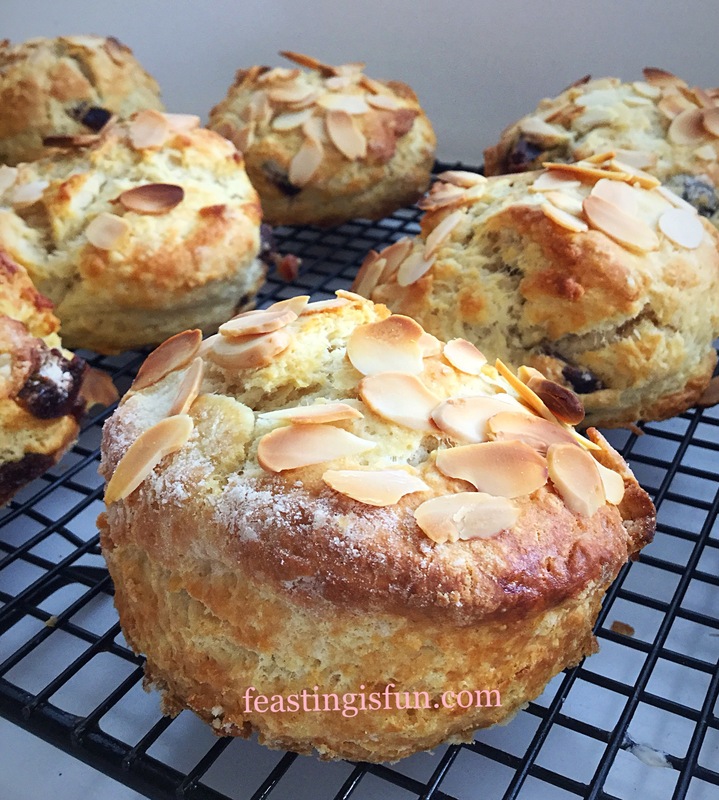 Almond Topped Cherry Scones plus a review of Andrew James Stainless Steel Set of 5 Bowls with Airtight Lids. Summer is truly here. 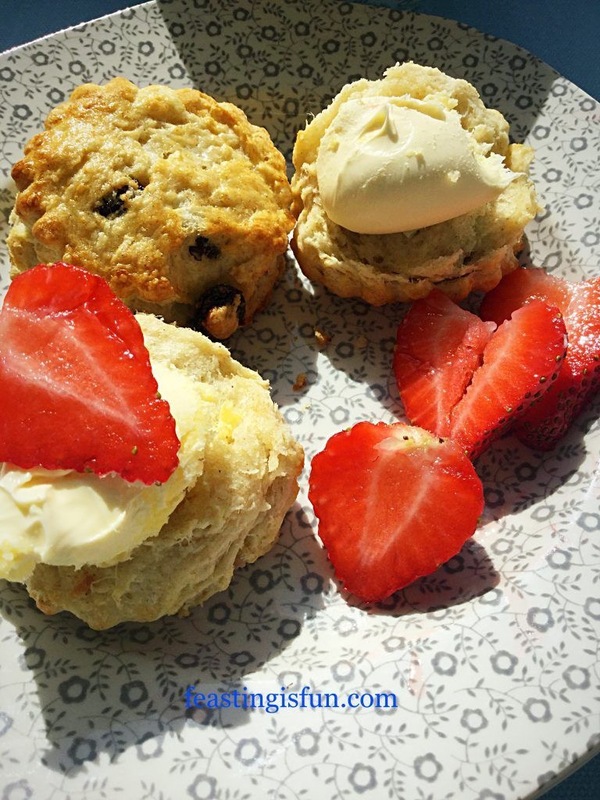 Sunshine, Wimbledon, Strawberries and Scones. Well except for today, as it is raining, a welcome relief for the garden. Today I bring you not strawberries, but another seasonal summer treat, cherries. Stunning, deep ruby red jewels, that hang like earrings from the tree. Preserved as glacé cherries meaning these Almond Topped Cherry Scones can be made any time of the year. Almond Topped Cherry Scones a classic flavour pairing. 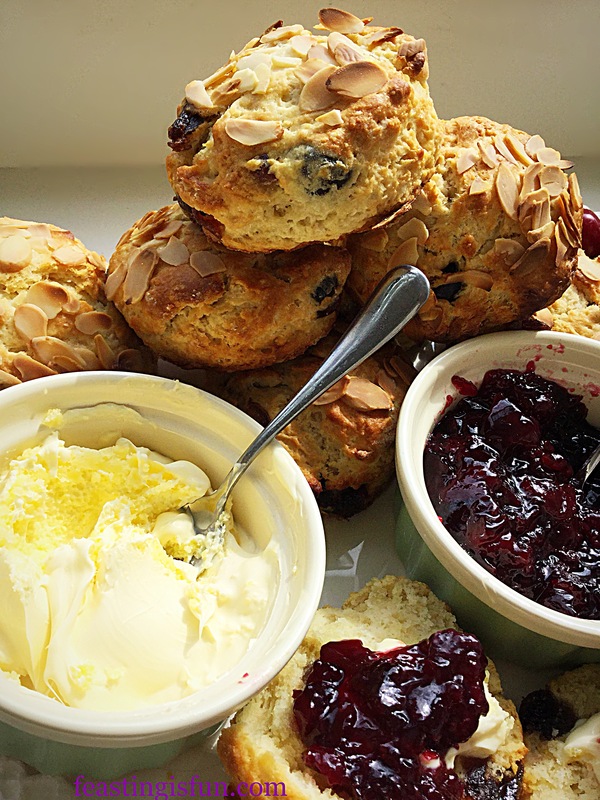 Combining the flavours of cherry and almond in these scones is, I think, game changing. 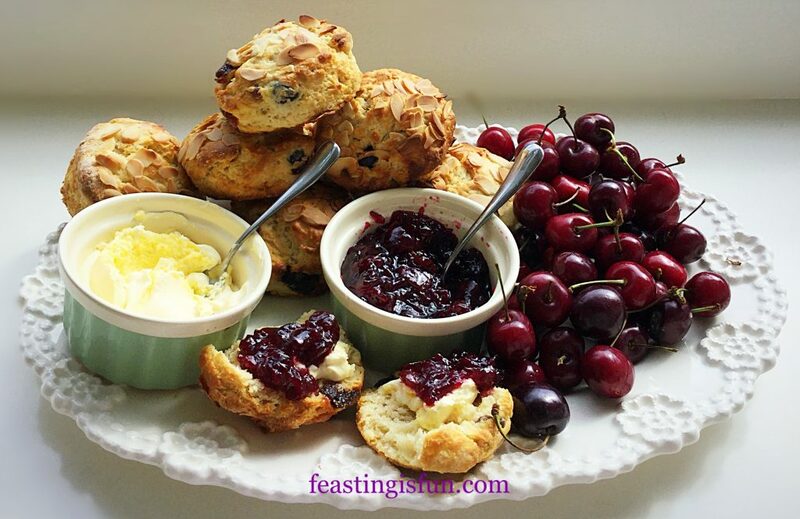 Add clotted cream and dark cherry preserve and you have yourself a delicious scone that is bursting with flavour. Honestly, I wish that I had made these scones a very long time ago, such is the pleasure obtained from the experience of eating one. Almond Topped Cherry Scones extra special during cherry season. Having been sent a nest of Stainless Steel Bowls with Airtight Lids by Andrew James, I decided to see how much damage I could do to them. Seriously, when reviewing new products they need to be put through a tough regime. As mentioned before, new or replacement equipment has to earn a place in my kitchen. 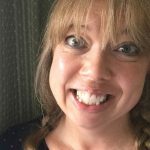 Since honest reviews are the only ones you will ever read on this blog, your trust is never taken for granted. Since first making shortcrust pastry in the 3500ml, the second largest bowl, then proceeding to make the scone dough in the same bowl. Again using a pastry cutter to cut the fats into the flour. I knew if anything could mess up these bowls, the pastry cutter would give them a hard time. Yet, following a full cycle in the dishwasher, the bowl came out virtually untouched. Tested bowl on top, nest of bowls bottom. The result of really attacking this bowl with a pastry cutter, a few scratches. In all fairness I was very heavy handed when making the pastry and scones. What I absolutely love about these bowls is the non slip base. Whether whisking up Yorkshire Puddings, Ice Cream, or pouring homemade Tomato Sauce into them, these bowls do not shift on the worktop. Each bowl comes with airtight fitted lids, with the largest bowl having a lid with a removable centre. Perfect for splash control when whisking liquids see Lime Ripple Luxury Ice Cream. Finally, the only minor downside to these bowls is that they cannot be used in the microwave. A small price to pay for the robust Stainless Steel bowl with non slip base and airtight lid. A whole variety of uses in the kitchen. 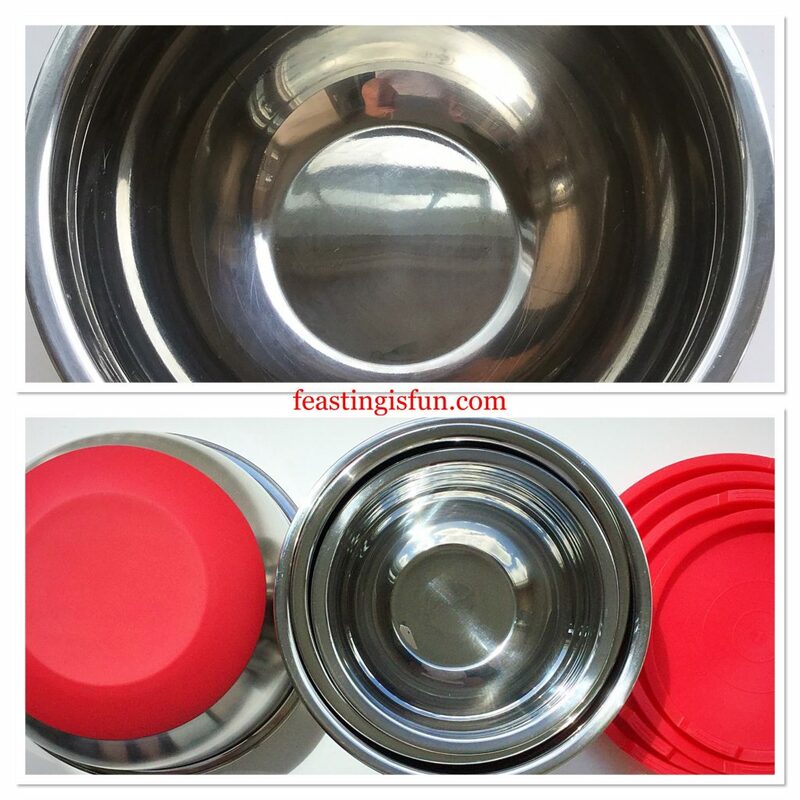 Some of the recipes made using the stainless steel bowls. Even though these bowls cannot be used in the microwave, they are so versatile and robust, not forgetting to mention space saving. Since all of the bowls stack conveniently inside each other. They receive a firm 5 out of 5 from me. These bowls are a welcome addition to my busy kitchen. If you are quick and order before the end of July, use SAMMIE10 code for a super 10% discount. Time to make the scones! Sieve in the flour and baking powder, then add both of the fats. Using the tips of your fingers, or a pastry cutter, work the fats into the flour until it resembles breadcrumbs with some larger, pea sized pieces of fat visible. Next add the salt and sugar. Mix together using a balloon whisk. Now add half of the glacé cherries. Toss them about in the mixture, this prevents them sticking together. Add the other half and do the same. Make a well in the centre of the mix, pour in the milk and almond extract. Use a butter knife to gently stir the milk into the flour mix. As the dough starts to come together switch to using your hand. Gently bringing the mix to a coherent dough. Tip the dough on to a floured surface and gently knead to form a 5cm/2″ thick disc. 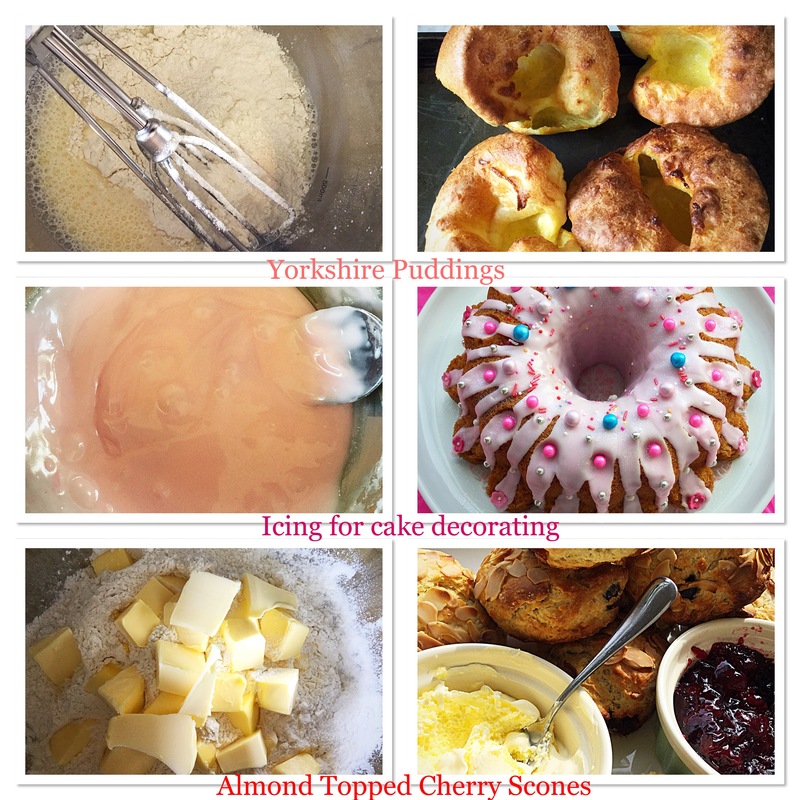 Using a well floured 5cm/2″ round cutter, cut out the scones, remembering to press straight down without twisting the cutter. Twisting can cause odd shaped or lopsided scones as they bake. 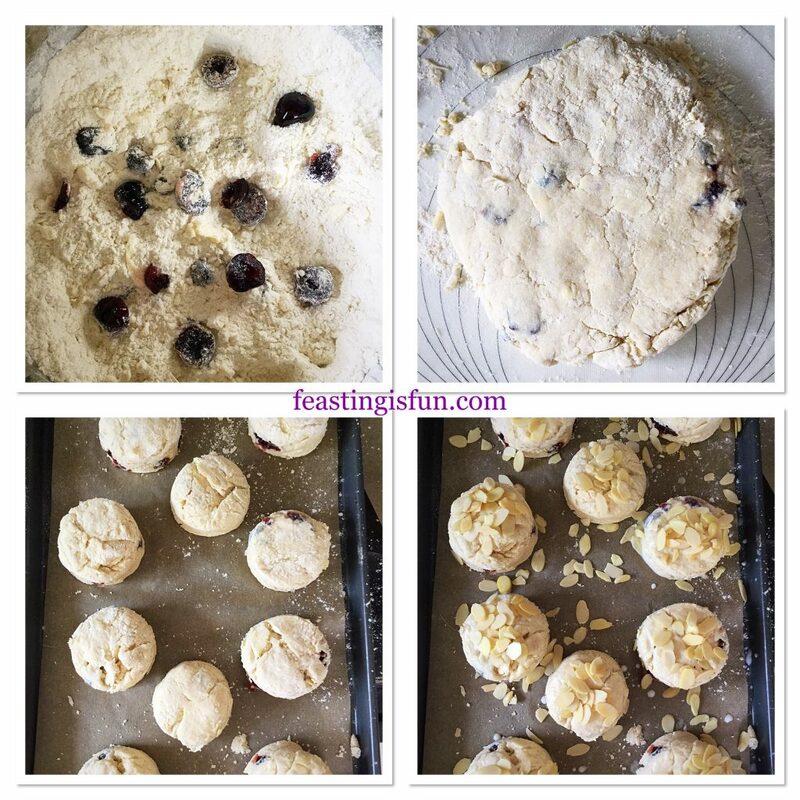 Place each scone on to the lined baking tray. Bring all the bits of scone dough together once the scones are cut, knead lightly and continue to cut out the remaining scones. Repeat the last step until all of the dough is used. Once all of the scones have been cut out brush the tops with milk and sprinkle over flaked almonds. Place the baking tray into the centre of the preheated oven and bake for 25 – 30 minutes. The Almond Topped Cherry Scones are baked when they are risen, golden brown and sound hollow when rapped on the base with a knuckle. Once baked remove the scones from the oven and place immediately on to a cooling rack to cool. Baked Almond Topped Cherry Scones cooling on a rack. When the scones are cooled, or slightly warm then they are ready to be served. 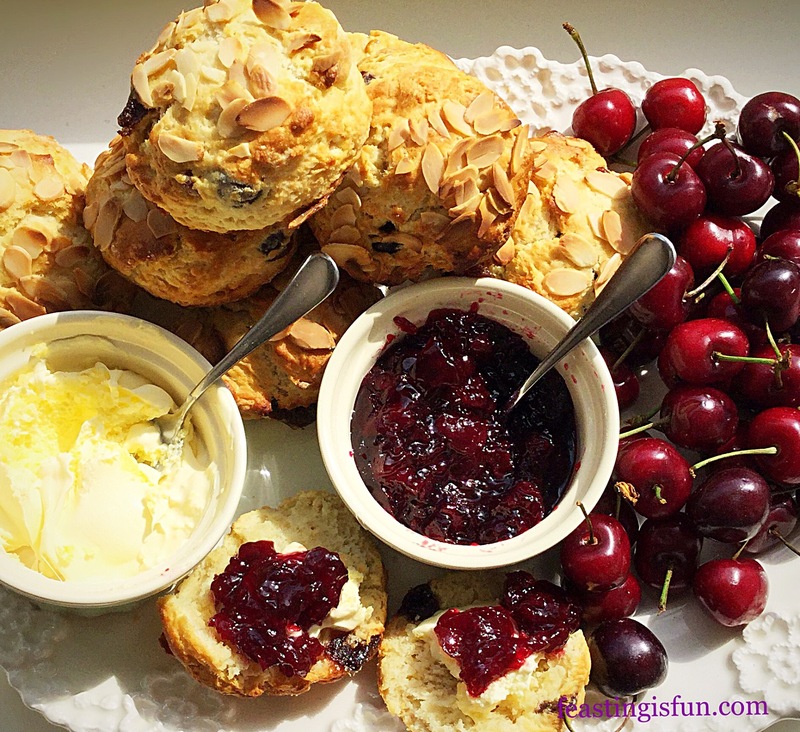 Serve the Almond Topped Cherry Scones on a platter. 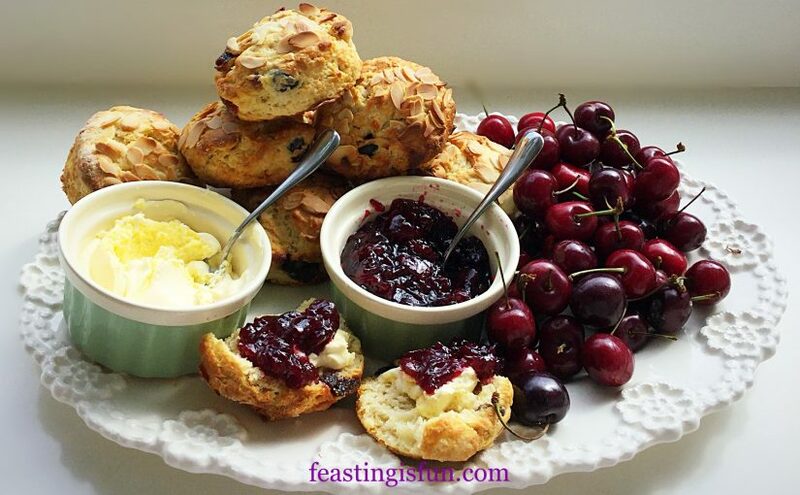 I like to serve the scones on a large platter with ramekins of clotted cream and cherry preserve. Adding fresh cherries when they are in season, finishes the platter beautifully. 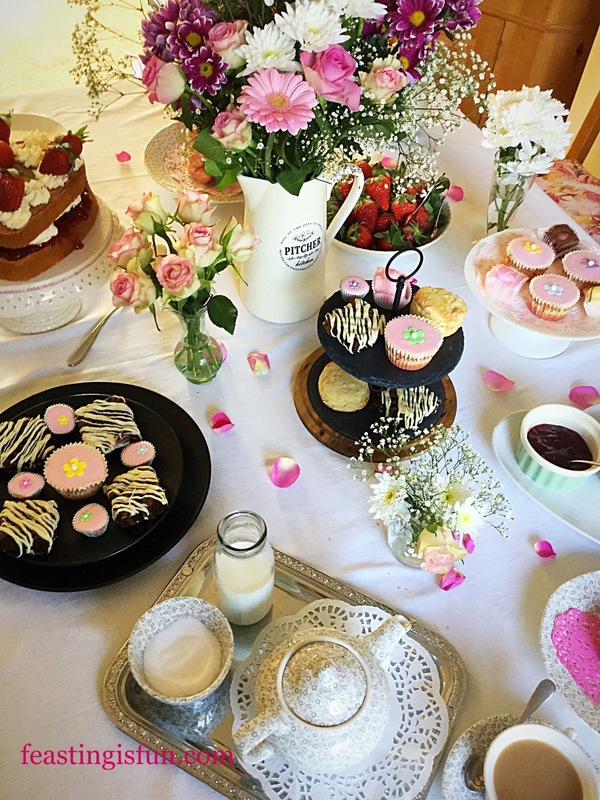 Serve with a large pot of tea and the best china you own! All scones are at their best on the day they are made. If you wish to make ahead, you can do so by one day. Make the scones, cool completely and store in an airtight container, such as the large stainless steel bowls. The next day 20 minutes prior to serving, warm in a preheated oven, at baking temperature for 5-10 minutes. Cool slightly and serve. Rather like bread, the reheating simply refreshes the scones and they taste freshly baked. 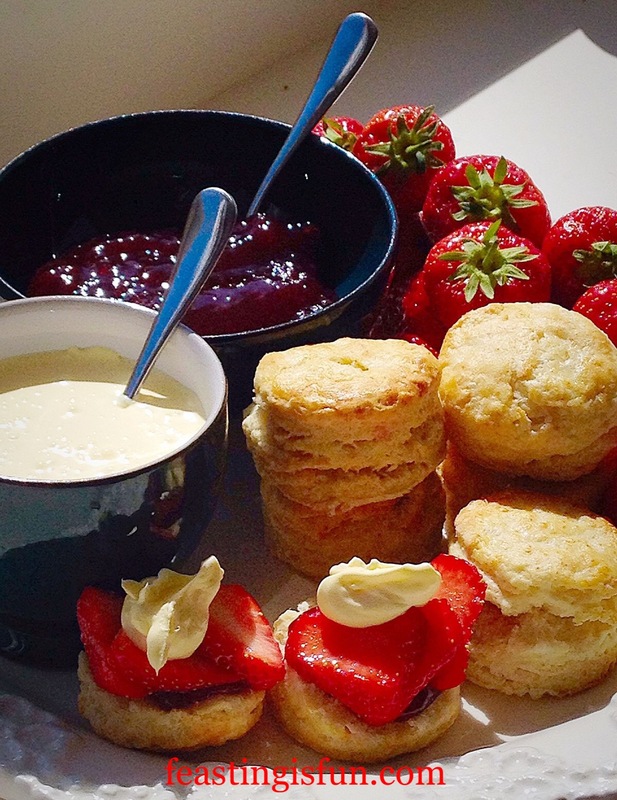 Homemade scones are a world away from their shop bought counterparts. In fact I never even liked scones before I made them myself. Essential to any Afternoon Tea they are simply the easiest treat to quickly make should visitors unexpectedly arrive. 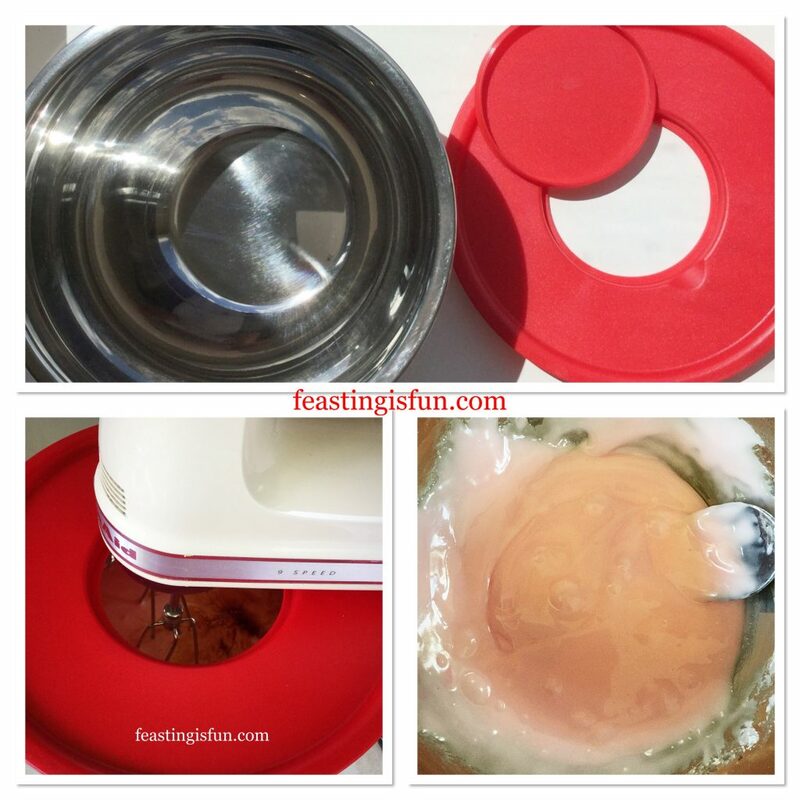 Making the scone dough in the Stainless Steel bowl made the process even easier. Especially with the non slip base and dishwasher safe factors. 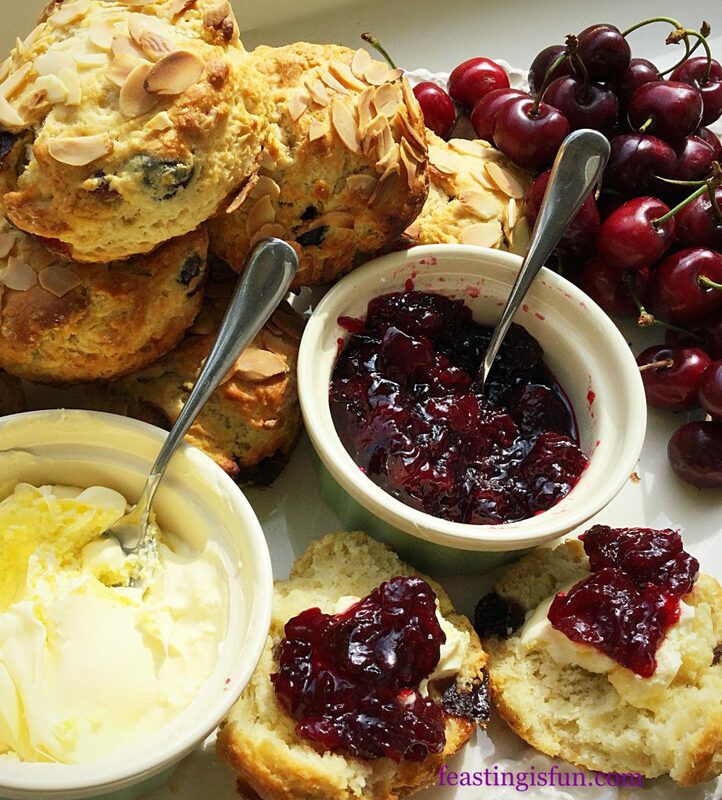 If you make these Almond Topped Cherry Scones please let me know? I love and really appreciate reading the comments that you take time to leave. Pop a picture on Twitter or Instagram and tag me in. I’ll be sure to give you a shoutout from @sammiefeasting. Do take a look at this nest of bowls and don’t forget your 10% discount code SAMMIE10, only available against these bowls from Andrew James. I highly recommend them for camping, caravaning or even taking on holiday as they are super lightweight. Whatever you are making, baking and creating in you kitchens or indeed caravans, have fun creating your feast. I regularly bake on holiday. Do you? Andrew James provided me with the nest of 5 stainless steel bowls with matching airtight lids for the purpose of review. All comments and opinions are my own and are a complete reflection of my experience in using them. I was not paid to write this post and the discount is curtesy of Andrew James. No part of this post may be reproduced in any way without my prior permission. Please see my Disclosure Policy for further details.